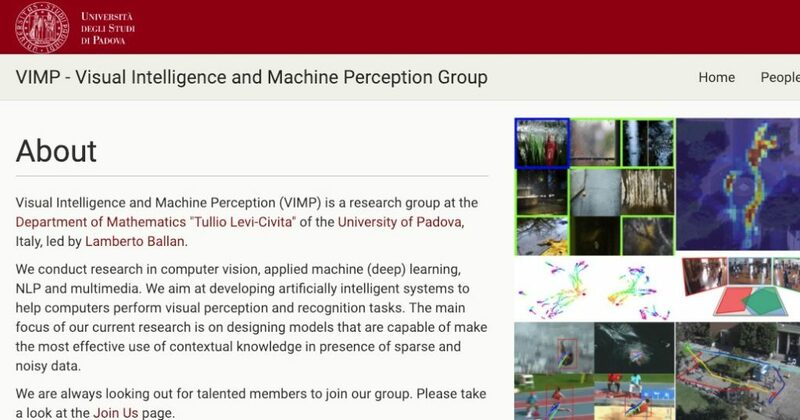 I am an Assistant Professor (tenure track) of computer science in the Dept of Mathematics “Tullio Levi-Civita” at the University of Padova, Italy, where I lead the Visual Intelligence and Machine Perception (VIMP) group. I am also affiliated faculty at the Human Inspired Technology Research Centre. Previously, I was a postdoctoral researcher in the AI Lab at Stanford University – working with L. Fei-Fei and S. Savarese – supported by a prestigious Marie Curie Fellowship from the European Commission. I received my Laurea (M.S.) and Ph.D. degrees in computer engineering in 2006 and 2011, both from the Univ. of Florence (Italy), advised by A. Del Bimbo. I also spent time at Telecom ParisTech (France) in 2010. My primary research area is computer vision, closely integrated with applied (deep) machine learning and multimedia. The main focus of my current research is on designing learning algorithms that make the most effective use of contextual knowledge in presence of sparse and noisy data. 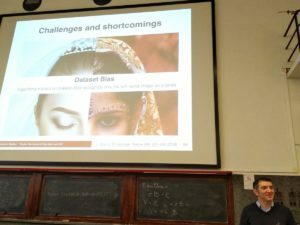 I recently gave a talk on “Teaching machines to see: a quest to visual intelligence” at the “Math&CS Pride” open-day outreach event organized by the Dept of Mathematics “Tullio Levi-Civita”, for undergrad and high school students. It was super fun (at least for me :), and this are the slides of the talk. 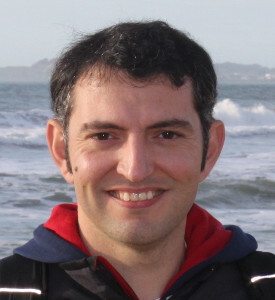 This semester, together with Alessandro Sperduti, we are teaching a new course on cognitive computing, applied machine learning and computer vision. This new class is motivated by the recent revolution of cloud-enabled artificial intelligence services. We will give an introductory overview of deep learning, the main fields of application of machine learning and representation learning, with a particular emphasis on visual recognition problems. 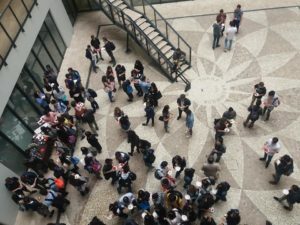 The class is offered to master students in computer science and data science, but it is also open to others (e.g. undergrads in CS or students from the school of engineering). More info: course webpage @UniPD, course presentation. Comments Off on Deep Learning, Pattern Recognition and Vision, which direction? 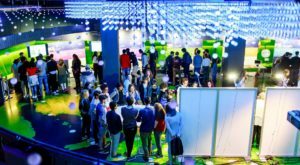 This 26 and 27 September 2017, I was involved in the kickoff event for European Researchers’ Night in Brussels #MSCAnight. With thousands of visitors, most of which were children, it was a smashing success! I have presented my research on machine learning and visual perception, and talked about visual illusions and teaching computers to see. More about the event: https://goo.gl/QNkxgY, more about my work and some nice pictures. CVPR is growing exponentially. This year in the beautiful Honolulu there are approx. 5K attendees. First, I will present our paper on “Localization of JPEG double compression through multi-domain convolutional neural networks” (Amerini, Uricchio, Ballan, Caldelli) at the CVPR’17 Workshop on Media Forensics. Then, I will give a keynote talk on “Exploiting noisy web data for large-scale visual recognition” at the CVPR’17 Workshop on Visual Understanding by Learning from Web Data [slides available online]. 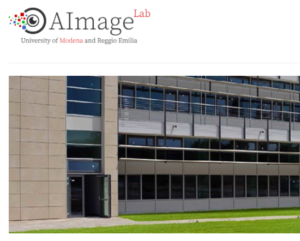 Our paper “Automatic Image Annotation via Label Transfer in the Semantic Space”, by T. Uricchio, myself, L. Seidenari and A. Del Bimbo, has been accepted for publication in Pattern Recognition and is now available online. It is an extended version of our KCCA-based tag propagation model presented in our ICMR’14 paper, containing more experiments and a novel tag denoising procedure. A few days later, our paper “Learning without Prejudice: Avoiding Bias in Webly-Supervised Action Recognition” has been also accepted for publication in Computer Vision and Image Understanding (CVIU) and is now available online. Here we present a (fully) webly-supervised model for action recognition in videos. This is a joint work with F. Tombari and C. Rupprecht from TUM (Germany). I will be joining the University of Padova! Comments Off on I will be joining the University of Padova! Happy to share that I will join the Math & CS Department of the University of Padova as an Assistant Professor (tenure track) of Computer Science, starting in Fall 2017. The University of Padova is one of Europe’s oldest and most prestigious seats of learning. 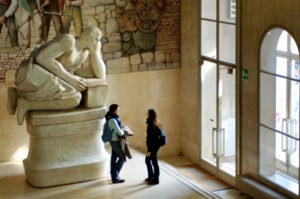 The University of Padova is ranked first among Italian universities according to most international rankings (ARWU, US-News) and research evaluation agencies (ANVUR) [UniPD at a glance].